Beverly passed away Wednesday, April 10, 2019 surrounded by her loving family. She was born June 17, 1930 in Ogden, Utah, the oldest of four children born to Glen and Inez Viola Farr. On September 27, 1963, Beverly was sealed to her eternal companion, Charles Eldon Bailey in the Logan Temple. Together they raised a family of four wonderful daughters, Jane Ann Atkinson (Keith), Charlene Udink (Curtis), Kara Lee Mitchell (Scott), and Dawnell Morrow (Don). One of her greatest joys in life were her eight grandchildren, Amanda Volden (Matt), Pamela Jensen (Travis), K.C. Atkinson (Kali), Travis Udink, Bailee Barnett (Kasie), Skyler MacGoldrick (Elisha), Shalyce Pifer (Austin), and Jacob Morrow (Sarah). She also was very proud to have six great-grandchildren, William Udink, Oliver Udink, Andrew Udink, Harris Jensen, Isla Jensen, and Klaire Atkinson. Beverly was very proud of her family heritage and being born and raised on her Grandfather’s homestead in Taylor. She lived her entire life on that homestead except for the few years she lived at Family Tree in West Point. Beverly graduated from Weber High School in 1948. Part of a very fantastic graduating class! The summer after school she started working at Shupe-Williams Candy Co. She then worked for Pillsbury Mills and finally Thiokol ROC. Beverly was fortunate to be able to stay home and raise her family. During that time she worked as the Ground Duty person during recess for several years at Kanesville Elementary as well as with the PTA. 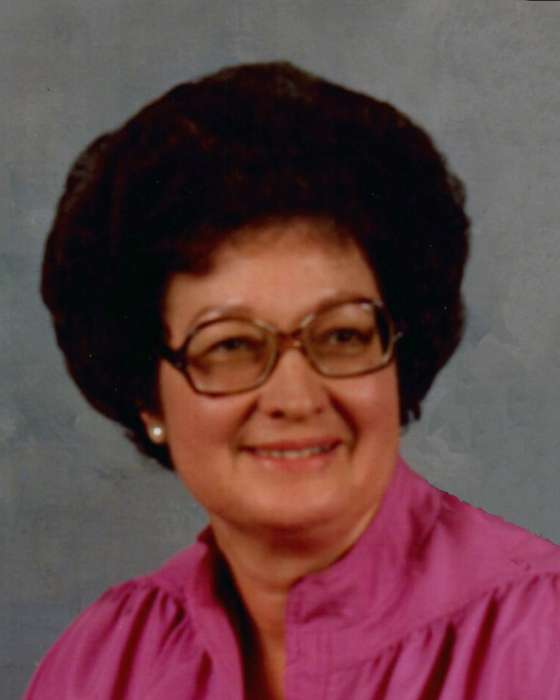 Beverly was an active member of The Church of Jesus Christ of Latter-day Saints and held various positions over the years. Her last calling was Librarian of the Taylor 1st Ward in which she thoroughly enjoyed. She was also very privileged to be able to transcribe Patriarchal Blessings. She loved to cook and read. Her favorite team was the Utah Jazz. She loved watching all the games and cheering for them. Beverly was preceded in death by her husband, Eldon, her parents, Glen and Inez Farr, two sisters, Nancy Lee Farr and Joyce Summers. She is survived by her four daughters and their spouses, eight grandchildren, six great-grandchildren and her brother, Gary Farr. A heartfelt thanks goes to her special best friend, Joy. Also, a special thanks to Bree, Olivia, Britt and Todd from Comfort Worx Hospice and the staff at Family Tree Assisted Living. Also, many thanks go to Teacy McFarland, Brian Ballard, and Steve Blakeley. Funeral services will be held at 11 a.m. on Thursday, April 18, 2019 at Lindquist’s Roy Mortuary, 3333 West 5600 South. The family will meet with friends Thursday from 9:30 to 10:30 a.m. at the mortuary.